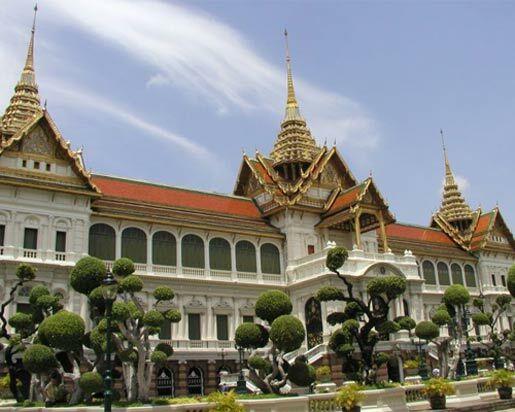 Trip Description : Visit the Grand Palace including Wat Phra Kaew-Temple of the Emerald Buddha and take boat trip along the Chao Phraya River and canals in Thonburi area. 08:30 hrs Meet your private English-speaking guide in the hotel's lobby. Depart from hotel to Rattanakosin Island, the original area of Bangkok when it was first established as the capital over 200 years ago. 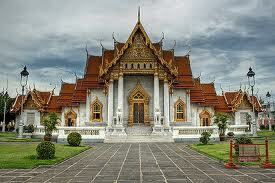 Visit The Grand Palace has an area of 218,400 sq. metres and is surrounded by walls built in 1782. The length of the four walls is 1,900 metres. Within these walls are situated government offices and the Chapel Royal of the Emerald Buddha besides the royal residences. Wat Phra Kaeo, the most beautiful and important Buddhist temple in Thailand. It is so richly and intricately decorated that, once entering the temple, you will feel as if you are in a real "city of angels". Cruise in a comfortable long-tail motor boat along the Chao Phraya River and canals in Thonburi area. You will be treated to a spectacular and colorful scenery of Thai life along the river banks. The Bangkok people still depend on the waterways to transport their merchandise. Enroute you can see many magnificent temples and architectural buildings, including Grand Palace, Wat Arun or, the Royal Thai Navy Dockyard, the Thai Maritime Navigation Company, the Old Customs House and Royal Barges Museum. City-sightseeing tour along Ratchadumnoen Rd. (The Royal's Way). En route you can see many magnificent temples and architectural buildings, including the City Pillar Shrine >National Museum Democracy Monument Golden Mountain Thai Boxing Stadium Anantasamakhom Palace Parliament House, Dusit Zoo and Chitlada Palace King's Residence. 13:00 hrs At the end of tour will be visit the local product store. Then tranfer to your hotel. Private Tour : Itinerary is flexible. Pick up time and start time normally is fixed but can be flexible upon customer's convenience. Remain Ballance payment(cash) directly at our guide upon meeting at the hotel. Wat Phra Kaew is Thailand's most sacred temple, so please do not wear shorts, or sandals.